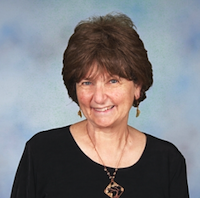 Helen Goldberg has been an educator for over 35 years. She has worked as both a teacher and administrator in public, charter, Catholic and Jewish schools. In 2013, she was the director of Camp Ahava in Silver Spring. Coming from El Paso, Texas she was Teacher of the Year for the entire West Texas Region in 2004-2005. She is currently honored in the El Paso Teachers Hall of Fame, as well as being in the Who’s Who of American Teachers. Helen holds a Master’s Degree in Curriculum and Instruction. She has served on textbook committees and in an advisory capacity to the District Superintendent. She has been published in Mailbox, an educational publication. She has taught all grades and subjects from preschool to high school. Helen was very active in many Jewish and civic groups. She served as Vice-President of the Jewish Community Center of El Paso, where she was named the Volunteer of the Year. She also served on the Board of Directors for the Jewish Federation of El Paso and the El Paso Jewish Academy, as well as President of the local chapter of Women’s American ORT. Helen resides in Silver Spring, with her husband, Stuart, a linguist. They have three children and eleven grandchildren.